The Western genre is one that unofficially begins with the appearance of a hopeless wanderer. Engulfed by the depth of rugged terrain and unimaginable physical feats, the mysterious stranger is on the run; usually from their past. Miraculously, the stranger finds their way to a local tavern, hydrating and resting until the next stretch of their journey begins. What the stranger doesn't know though, is that their presence alone within the small town is one that usually sparks some sort of trouble for its citizens–prolonging their stay in the once quaint and unsuspecting town. 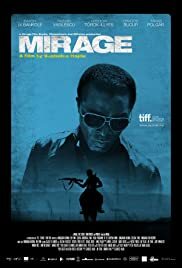 In director Szabols Hajdu's film Mirage, Casino Royale actor Isaach De Bankolé is that stranger, who makes his way to a desolate, obscure Hungarian Prairie town run by Cisco (Razvan Vasilescu), a Hungarian gangster. 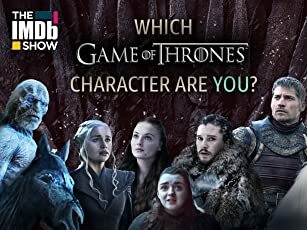 Our stranger doesn't quite know what he's getting himself into when he introduces a little anarchy to Cisco and the sparse population of townsfolk. One of the many characteristics of the more obscure Eastern-European entries of TIFF's Contemporary World Cinema programme films, is that they tend to be very personal. Often times they are an unglamourous re-imagining of the childhood memories of many of it's directors. With Mirage, Hadju recreates his childhood rural town into a hallucinated nightmare of slaves, gangsters, oppression and greed. In terms of story, Mirage is by no means a trend-setter. The narrative, typical to many, could be mistaken with many Westerns before it. It succeeds visually thanks to it's marvellous landscapes and vast emptiness, but overall becomes a clichéd attempt at highlighting the many fears and desires of the people unhappily nestled in the village. Sadly, De Bankolé's hero is neither coward nor courageous. Instead, the lead, who is later known as Francis (De Bankolé) is suddenly taken into custody and put to work by Cisco and his herd of heavily armed followers, following a lengthy sentence in prison for fixing soccer games (suggesting the wanderer's short stint as a professional soccer player). Mirage aims to be transfixing and spellbinding, giving moments of deep loneliness and hallucinatory mystery, done effectively by its lack of dialogue. Parched of the spoken word and the emotions of its sadly oppressed population, the film instead becomes a homestead we can't wait to vacate. Mostly odd and unnerving, Mirage develops to a wildly violent tale of ownership and power. Though the film's narrative is insistent on becoming a modern day cinematic fable by a Hungarian auteur, Mirage's dream-like sequences give more insight on the film's plot through hallucinations, dreams and desire, proving that these scenes are more entertaining and enthralling than the narrative at hand. Mixing elements of the surreal with the very serious elements of racism, dictatorship, and equality, Hajdu's film deals mostly with the exploitation of the black man, Francis. One of the best characteristics of Mirage is it's ability to wish for a revisited viewing of other repressed characters in TIFF's previous films; 12 Years a Slave possibly serving as the most obvious choice. Incongruent, unsettling, and atmospheric in every way possible, Mirage is a failed attempt to bring to light a corrupt part of a province within Hungary that may very well only be cared for by its director and the people involved with the production. Hadju, who tries various avant-garde cinematic choices, for example, cutting and fading away from somewhat entertaining action sequences while they are unfolding, delivers a wholly disruptive film that leaves not only it's characters parched, but also leaves its audience cinematically dehydrated, thirsty for something a bit more refreshing.